Yikes! Recently, I was asked a question by someone who I’m friends with on Goodreads. She said something along the lines of “Do you rate everything five stars?” Now, this is a completely valid question. I do rate a TON of books five stars. All the time. But the real problem is, I don’t always mean it. The actual writing of the book has to be amazing. By this, I mean the writing style, plot, characters, relationships, world-building, etc. etc. I have to really fall in love with it. When I finish a really good book, I usually get chills. 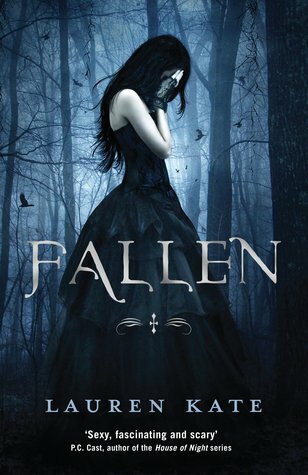 If I don’t get that feeling from the book, I haven’t really fallen in love with it. If the book only hits one of these marks, it’s usually four stars, or if it’s really close but not quite good enough, it’ll get 4 and a half. However, I’ve just become so used to saying that I love all the books I read, that I’ve rated a lot of them five stars. And I do mean a lot. Even if they don’t really deserve it. And those are the books I’m here to talk about today! I want to change my Goodreads rating and hopefully explain myself a bit. 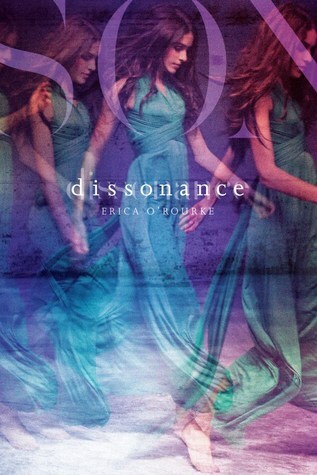 I never ended up posting a review of this, although I did start writing one on my iPad right after I finished it. 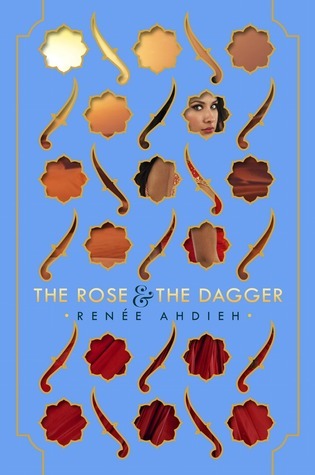 When I rated it on Goodreads, I initially gave it five stars, but I honestly didn’t enjoy it that much. I have no idea why I gave it five stars. Popular opinion? In any case, the way I feel about this book is that it shouldn’t have been published. 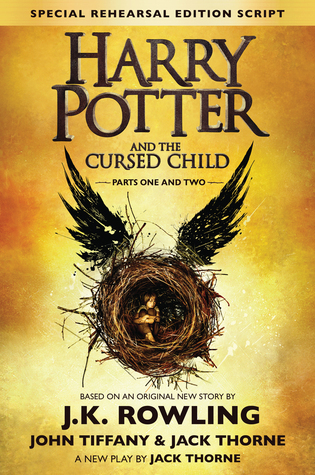 I think it’s probably an awesome play and I definitely want to see it sometime, but it obviously wasn’t made to be read as a book, and seeing as how it’s not even written by J.K. Rowling, it most certainly doesn’t count (to me) as the eighth book in the series. I liked the idea alright, and I appreciated going back into the Harry Potter world, but as I’m sure you’ve heard before, there are many, many problems with this book, so I’m changing it from my initial five stars to two. When I first read this book, I absolutely loved it. Then for the next few weeks, I proceeded to be bombarded with reviews and other people’s opinions and just generally became very confused about what my actual thoughts on it were. I went back and forth from one to five stars, which of course, is a huge jump. Eventually, I settled on three, because that was a compromise, but I want to change it to four, because I really did enjoy it, I’m just not sure anymore whether it would constitute a five star rating. When I first read these books, I absolutely loved the first two, and hated the last one due to the ending. So I rated the first two five stars, and the third three (because I was unable to hate on books back then, I was a strange little monkey). However, in the two years that I’ve been blogging, I’ve grown so much as a person, a blogger, and a reader. I’ve read so many more books, and I’ve simply become pickier about what I like. I have higher standards. I’m desensitized to books, and I’m not as easily swayed to love a book like I used to be. After thinking about it for a while, I realized that I’m really impressed with Veronica Roth’s decision at the end of Allegiant. I still think it could’ve been done better, but she was extremely brave to do that, and now I see why. 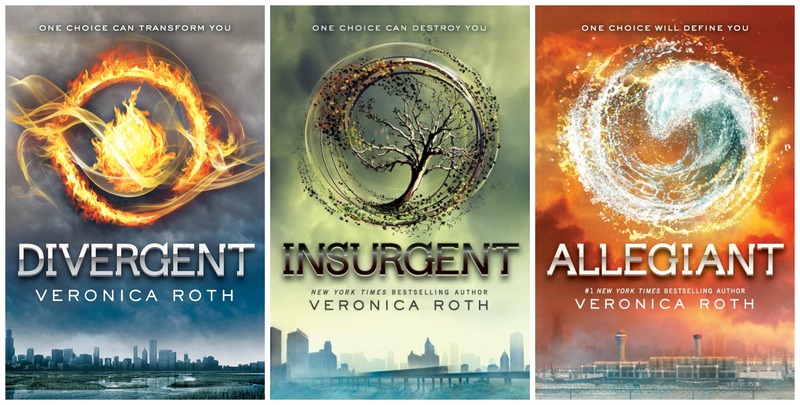 Although the Divergent books are fairly good, they’re just typical sci-fi dystopian books. Allegiant’s ending is what really separates them apart from other dystopians. Therefore, I’ve decided to move the first two’s ratings down to three stars and the third up to four. I actually wrote a review on this one, and it was definitely a rave review. In my confusion of the book, I mistook it for love of said book, and raved about it without really understanding why or actually feeling the love. The problem with this book (as I mentioned in my review) is that in the synopsis, one of the major plot twists at the end of the book is revealed. Therefore, I went into the book waiting for that plot point to happen, which took AGES, and when it did come, I was disappointed because I knew it was going to happen. The story was still amazing, but I much rather would’ve gone in blind, and because of the synopsis, I really did not enjoy it as much as I could have. Therefore, I’m changing the five stars to 3 and half! I absolutely ADORED The Wrath and the Dawn. It was perfect and beautiful and AGH. But somehow, even though I enjoyed this one, it just didn’t live up to the first. Which, of course, was super disappointing. And I thought the ending was done a little strangely. When I first finished it, I thought that that was all in my head, but I’ve seen other people saying the same things. All things considered, I have to bring it down from five stars to… three and 3/4? Is that a thing? YES. When this movie was out in theaters, I had already heard of the book and had been meaning to read it. But when my dad offered to take me to go see it, I just couldn’t resist. So yes, I saw the movie before reading the book. And unfortunately, this is just one of those weird books that aren’t as good as the movie. Although it wasn’t my favorite movie ever either, the book just wasn’t that great. I have no interest in continuing on with the series, and I honestly have no idea why I rated it five stars. I recall the story as being just “meh”, so I’m bringing it down to three. I really wanted to like this one. I had a bad opinion of it before I even went into it, but I was hoping that I would like it more than I thought I would. Maybe that’s why I rated it five stars? I’m not really sure. All in all, I just wasn’t all that impressed with the plot line, characters, or romance. The experience wasn’t that memorable or great for me, and I could’ve done without it. It’s another one of those “meh” books. I’m also bringing this one down to three stars. Katie Finn is Morgan Matson’s pseudonym. I read an interview from her, and she does say that the reason she publishes books under her two separate names is because she writes in two personalities. This is so true! 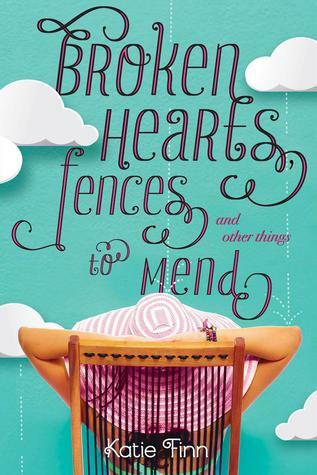 I LOVE Morgan Matson’s books, but Broken Hearts, Fences, and Other Things to Mend didn’t really work for me. It’s a revenge story, which I wasn’t expecting, and I just didn’t enjoy it all that much. Still, I love MM’s books so much that I think I’ll have to pick up another KF book sometime. In any case, I’m moving this book from 4 stars to 3. 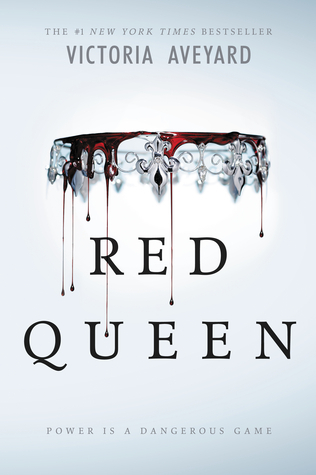 I think I rated this book five stars because I was expecting and hoping it would be five stars. 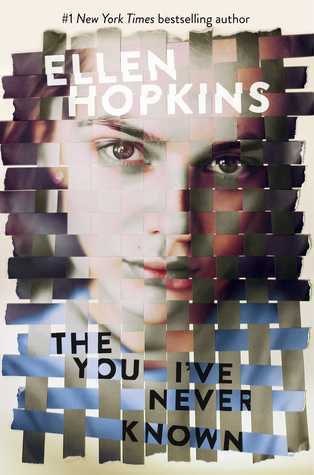 I love the premise of this book, but after I got into it, I didn’t really like it all that much. The romance was not-so-great, the main character was annoying at times, and the plot didn’t pan out as well as I was hoping. It just didn’t meet any of my expectations, and overall, it fell rather flat for me. It seems strange to me that I rated it five stars, when it only makes sense to put it at three. I evidently had SOME semblance of a brain when I rated this book, because I did at least rate it 4 instead of 5 stars. When I went into this one, I was super excited. I love the concept. 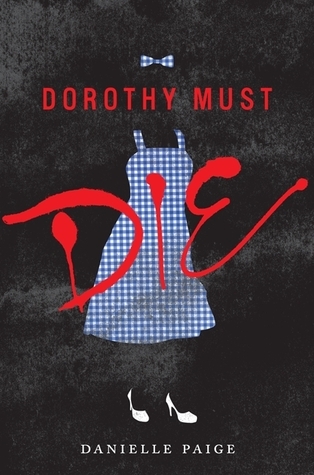 Because DOROTHY. MUST. DIE. But as I got closer and closer to the end, I just wasn’t impressed. I hated the actual ending, and I was really hoping for more from this book. It dragged the story on unnecessarily, and it was just irritating in general. I’m assuming I rated this one higher because of all the hype. Everyone seems to love it, but it really just wasn’t for me. Therefore, I’m moving it from four down to two stars. Whew! I hope you guys enjoyed this! If you’re wondering why it’s important, well! First of all, I want to be entirely honest with you guys, and I just felt kind of gross about these. Second, I wanted to share my actual rating on my main platform so that you aren’t misinformed. And third, I thought it would be fun to share! Again, I really hope you enjoyed this. Please do let me know in the comments down below what you thought of this idea, whether you agree with me on any of these, or if you’ve ever mis-rated a book too high or too low! ‹ PreviousDown the TBR Hole: Trying to Get Rid of Books?!? And sometimes I enjoy a book A LOT but it has tons of problems: structure-wise, etc. Or the exact opposite happens: a book can be completely perfect but make me feel nothing. Rating these types of books can be especially daunting. Thank you! I’m so glad you enjoyed it! Me too. You’re totally right; five stars is just a hard scale. It’s been awhile since I read it and I haven’t read the sequel yet! LOL. You totally got me with books you’ve lied about. I think we all fib here and there at times. Life changes us and I think that changes our thoughts on books as we look back on them. Nice post. Omg I love this post, Amy!! But nooooooo I adored The Rose and the Dagger so much!! cries Hahaha I shall forgive you… possibly. 😛 Rating books are actually so difficult though?? And I’m with you on the Cursed Child. I was okay with it but then I’m just like… no??? I didn’t like it? #struggles Anyway, great list! Thank you!!! Hahaha I still enjoyed it, just not as much as the first one! OH MY GOSH I KNOW RIGHT. Why must rating be like that one puppy that just won’t sit still. IT HURTS MY BRAIN. I’m brutal honest with mine. I rarely give 5 star reviews. Maybe 2 a year. Most books I don’t think are really perfection on all fronts. I give a lot of fours which means I enjoyed and had fun with them. I think the only ratings I wouldn’t 100% stand by are ones from my earlier reading days when I was pretty much everything is amazing!!! when by my standards now it was just good but not 5 star stunner good. Wow, that is pretty brutal haha! I do always appreciate seeing five star reviews from people (like you) who never give them- it makes them that much more coveted. Loooove this post. I feel like star ratings are so complicated. Which is dumb cos they should be simple but they’re deceptive. Love going through and revisiting some ratings. Very clever! They really are! It seems so obvious until you actually start thinking about it. The first thing I did when I started reviewing books was a I came up with a rating system and what each rating meant. Sometimes it’s been hard because I don’t feel like a book deserves the rating I’m about to give it but having my rating system written out helps me put it into perspective. This was a nice post. I liked how you explained yourself and changing your rating on some books. Thank’s. I have a rating system too. I try to stay true to it and when I write a review I explain what I liked and didn’t. Stopping by for the #getsocial17 event. Have a great week and happy reading! Thank you! I really appreciate that. Of course, I think we all do! Sometimes it’s just hard to really explain what you mean. Interesting post. I think I tend to skew to the opposite end – I sometimes think about a book a few weeks after I read it and think… I should have gave that another star if I’m still thinking about it. I’m pretty stingy with 5 stars – they are reserved mostly for books that I would re-read. Thank you! That’s super interesting that you say that. That’s smart though- I tend to be more interested in what more “stingy” eaters have to say, because if they give a book five stars, I know it really means something! Hi there! New to your blog. Visiting with #getsocial17 event. What an interesting topic. 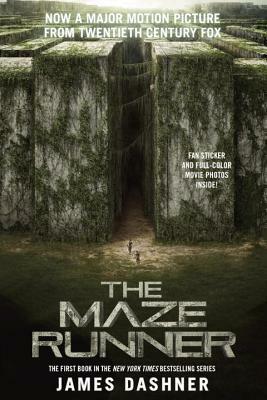 First – I have to disagree about Maze Runner. I read the book a year before the movie came out and while I loved the movie – I felt the book was AMAZING and so much better that the movie. Although I disliked the 2nd and 3rd books! Ratings: I wouldn’t say that I really lie about my ratings, but I may edge them up a little. I use a letter rating system, and sometimes I’ll maybe give a book a B when it probably should have been a B-. However, there are books that, when I read them, I loved them, but as my reading tastes have evolved, I wouldn’t really love them now. But I won’t change the rating, unless I re-read the book. Hahaha I’m glad you like it! I appreciate you saying that, although honestly, I was just confused during most of the Maze Runner, so maybe it just needs a reread sometime! I’ll definitely skip on the sequels though, then. That’s smart! It takes a lot for me to stop reading as well. Oh, no, don’t say that! Picky or not, your opinion is your own! WOW. That is… VERY picky, haha! I’d love to see which books you consider to be five stars! I’m new to Book Blogging, and I really like your site and the idea of this list. I totally agree with your opinions about The Cursed Child and The Divergent Series 🙂 Anyways awesome.